The company has named Daniel J. Houston as president and chief operating officer. 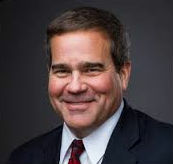 Daniel J. Houston. Photo: Principal Financial. Principal Financial Group has named Daniel J. Houston as president and chief operating officer.